Navajo Tacos - Dessert Now, Dinner Later! 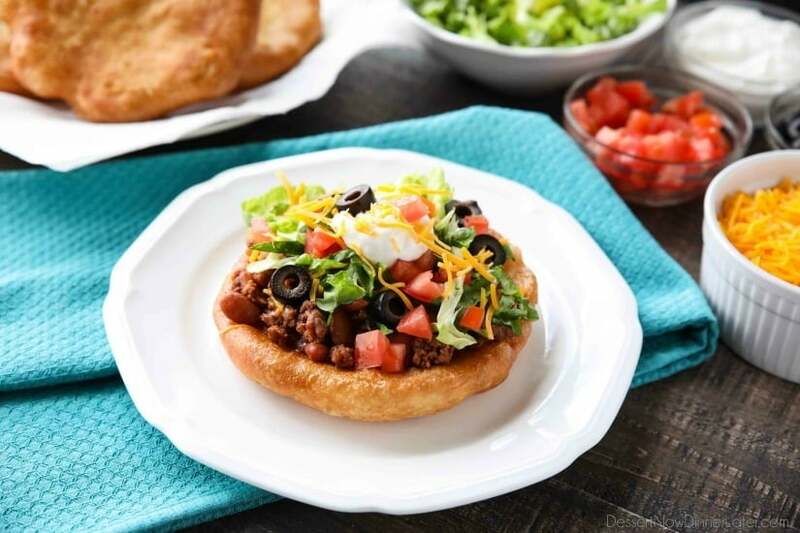 These easy Navajo Tacos (also known as Indian Fry Bread) are quick to whip up for dinner, smothered with a beef and bean taco filling, and finished with all the classic taco toppings. 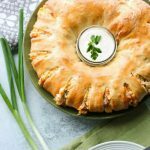 A fair food favorite made easily at home! Summer is here you guys! My kids just barely got out of school on Friday and I’m ready, but not ready, if you know what I mean! Haha. We’ve got swimming lessons starting today and hopefully that one daily activity will be enough of a routine for us to not go crazy around each other. I am excited for the perks of summer though! Days in the sun, splash pads and pools, going to the state and county fairs! We love fair food! 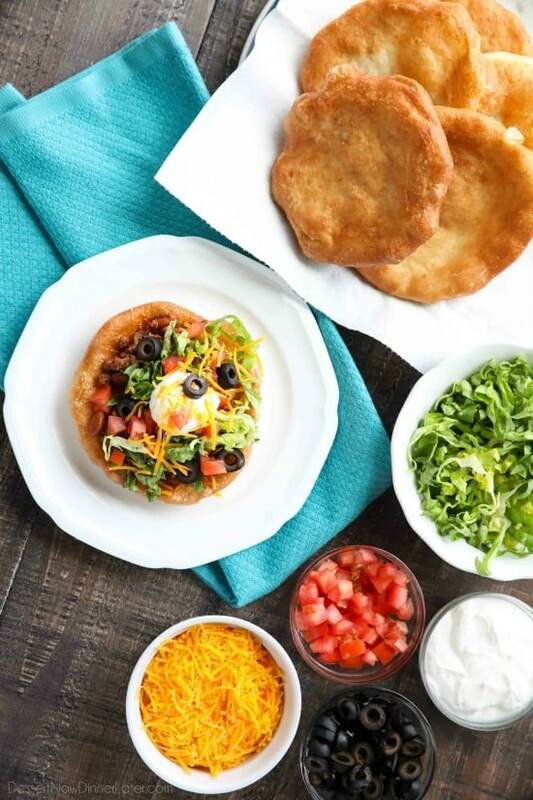 It’s hard to pick from so many, but Navajo Tacos (or Indian Fry Bread) is one of our favorites, so I had to make it at home. 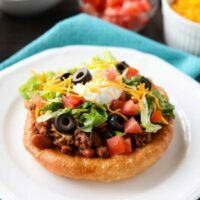 Crispy fried bread, smothered with seasoned taco meat and beans, topped with lettuce, tomatoes, olives, sour cream and cheese! Mmm-mmm! My oldest son is especially obsessed with the fry bread. I didn’t go to all the work of making dough though. 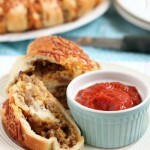 I totally cheated and used Rhodes frozen Texas rolls. 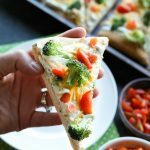 They were the perfect size for this tasty meal and made it come together so fast! I’m thinking this meal will get added to the regular dinner rotation. 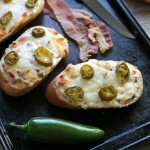 Plus, you can re-toast any leftover fry bread in the toaster oven on the toast setting to crisp it up. It’s almost as good as fresh! Make it a dessert and top the fry bread with honey butter! So good! Brown the meat with the onion and garlic. Drain the fat and return meat to the pan. Add taco seasoning, water, and the full can of chili beans with the sauce. Simmer for 5 minutes to marry the flavors. Cover and keep warm. Heat the oil to 375 degrees Fahrenheit. Flatten each roll to a 6-inch circle. Fry in oil until golden brown, turning over once. (About 30-60 seconds for each side). Dry on paper towels. Repeat with all rolls, doing 1-2 at a time so the oil temperature doesn’t drop too much. 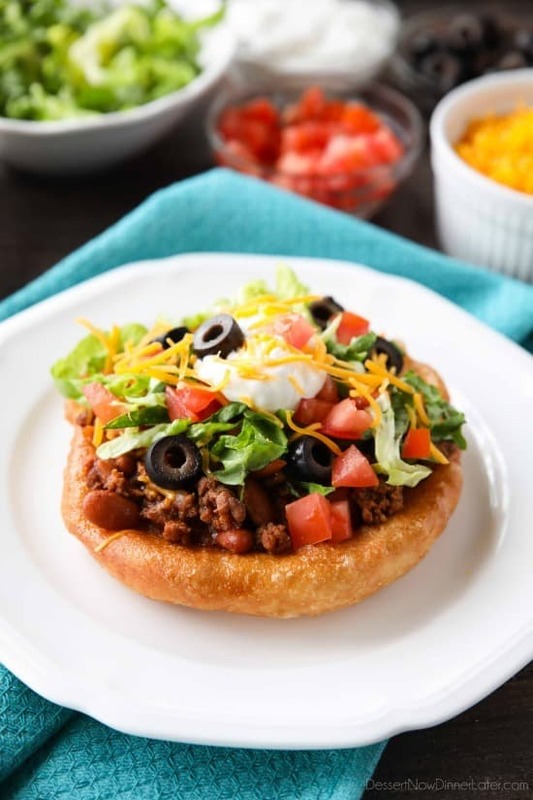 Top fry bread with the meat mixture, lettuce tomatoes, olives, cheese and sour cream. Enjoy!